It will be all or nothing for Namosi when they take on BLK Naitasiri Highlanders in Round Four of the 2015 Skipper Cup this Saturday. Head coach Timoci Wainiqolo made the comment yesterday while maintaining he was pleased with their current second place ranking on the points table. Wainiqolo is adamant that Namosi are in for a tough game. “It’s a definite morale booster and brings a lot of positive motivation for the boys to work even harder to try and maintain this position and push ourselves to go for the top spot in the competition,” the former national 7s representative said. “But we have to make sure we don’t get carried away or distracted because it’s a very competitive field and we know Naitasiri will be a tough team to beat. We’ll simply do our best when we go out on the field and play our best. We need to be alert and make sure that we respect Naitasiri when it comes to game time. Wainiqolo acknowledged the presence of Flying Fijians France-based duo Sireli Bobo and Kini Murimurivalu, who joined team training earlier in the week. “Absolutely their presence boosted the team’s morale and the level of training that was done. 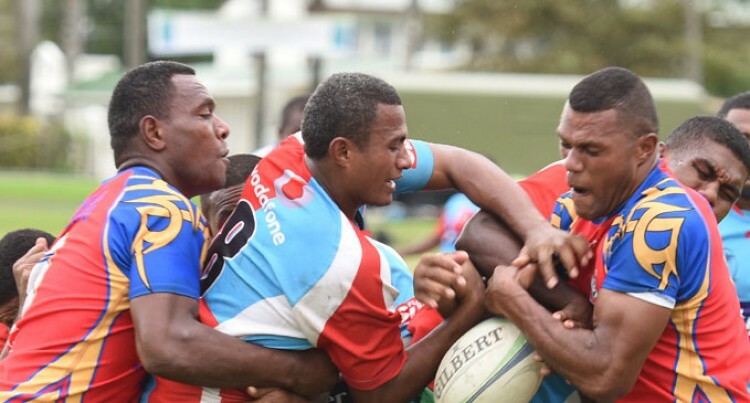 Namosi and Naitasiri will meet at 3pm this Saturday at Ratu Cakobau Park in Nausori while in other matches Tavua hosts Nadroga at Garvey Park, RC Manubhai hosts Ovalau at the ANZ Stadium and Pacific Energy Vatukoula hosts Tailevu at Theodore Park. Prince Charles Park will host a double header with Lautoka playing Macuata in the first game at 3pm and host Jack’s Nadi playing Northland at 5pm.